​Inter have reportedly won the race for Cagliari star Nicolo Barella, beating the likes of Napoli and Chelsea to the Italian's signature. The 21-year-old has been heavily linked with a move to Stamford Bridge in recent weeks, and the speculation only intensified as Cesc Fabregas was granted a transfer to Monaco. It was rumoured that Chelsea had agreed a deal to sign Barella, but it now appears as though they have lost out to Inter. News of Barella's imminent move to Inter comes from ​Calciomercato, who state that ​Inter and Cagliari will soon have finalised all the terms of the deal. They will pay an initial €40m, as well as a further €10m depending on Barella's performances. He will be allowed to remain with Cagliari until the end of the season, which is thought to have been a deciding factor in Cagliari's decision to pursue the deal. Barella has already given his consent to the move, and the two sides now coming to the end of their negotiations. Cagliari are set to sign Boca Juniors midfielder Nahitan Nandez in a €15m deal, and the deal for Barella will be confirmed once the signing of Nandez has been officially finalised. ​Chelsea are still on the hunt for a replacement to ​Fabregas, with only Jorginho capable of operating in the centre of Maurizio Sarri's midfield. Barella was one of several names to be linked with the club, with Zenit Saint Petersburg's Leandro Paredes also reportedly on Chelsea's wish list. 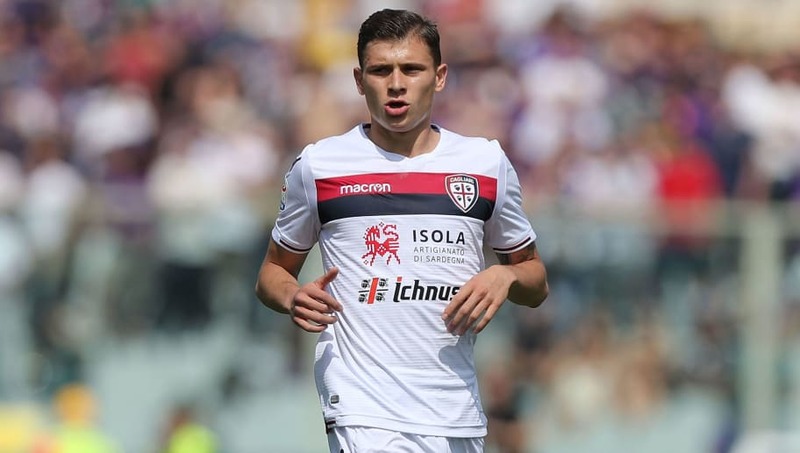 This season, Barella has made 21 appearances for Cagliari and even earned his first cap for the Italian national team. He has started Italy's last four matches, including two appearances in the UEFA Nations League. He is regarded as one of the county's hottest prospects and has drawn comparisons to ​Liverpool legend Steven Gerrard, as a result of his creativity and power. He has been used primarily as a central midfielder, but has also proven to be an option in both more attacking and defensive roles on the pitch.